Call of Duty: Ghosts is out now; here’s our Call of Duty: Ghosts review. Gaming with friends is gaming on its best day, and it’s something that the success of Call of Duty is certainly built on. 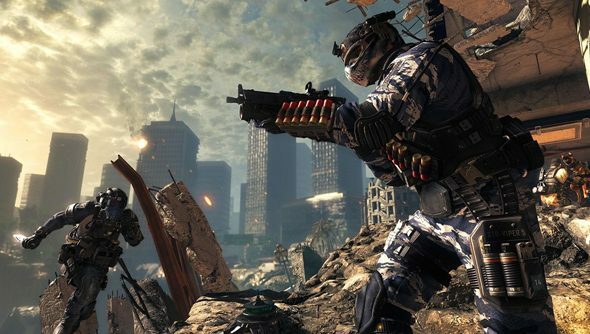 For the upcoming installment Ghosts, developers Infinity Ward have expressed that clans will be integral to multiplayer. They will also be multiplatform this year, meaning you can be clan buddies with anyone, regardless of their gaming machine. If you want solidarity with your squaddies, then you can sign up for a clan right now. Multiplatform clans doesn’t mean multiplatform gaming though, so don’t expect to be gunning alongside your pals with PlayStations. It’s still a great step, however, and allows PC overlords to at least share a little excitement with their console brothers-in-arms. Clans can level up and provide their members with unlocks and XP bonuses, so being in one is about more than just teaming up to take down n00bs. You can sign up for early clan registration right now, and the early-bird system runs up until October 25th. If you’re an existing Elite Clan Leader, you can reserve your current clan name on a first-come, first-serve basis, as well as import your member roster.